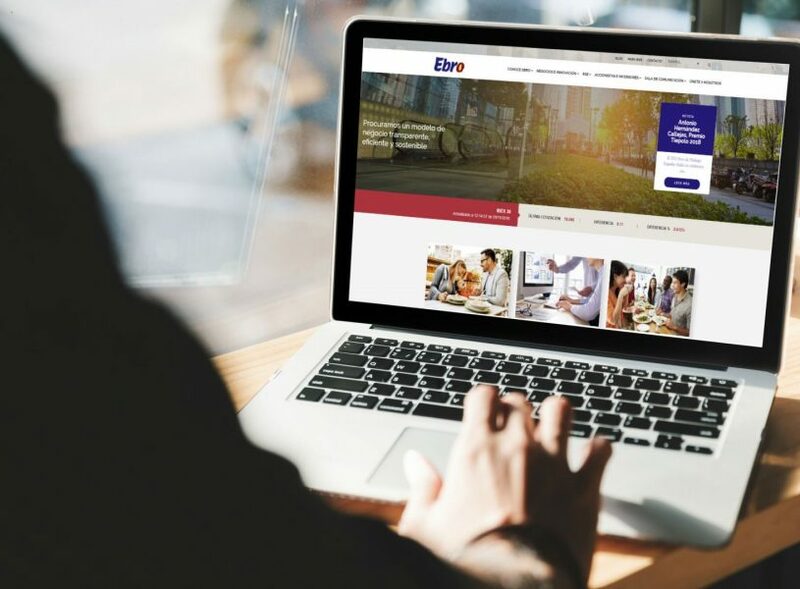 We are pleased to announce the launching of our new corporate website www.ebrofoods.es. This new version reflects our Group’s corporate identity and culture through its modern design, minimalist in structure but very attractive thanks to a greater presence of graphic resources and infographics. It is intended to provide a comprehensive corporate communication tool for all our stakeholders. The new website is very intuitive and easy to use, having been made totally user-friendly and practical, considerably enhancing the page-loading speed and designing an optimised contents structure for the devices and browsers most commonly used at present. In this new version, we endeavour to offer more detailed information on the Group’s activities, supplementing the legal and financial information with specific, up-to-date information on our CSR activities, our commitment to health and innovation, our principal brands, key figures, strategy, milestones in our history and a news section, including recent corporate news and a multimedia gallery, in which we will gradually incorporate a variety of audiovisual materials. The website also offers direct access to all the communication channels through which Ebro maintains active communication, dialogue and interaction with society in Twitter, Facebook, LinkedIn and the blog www.sentirsebiensenota.es. The project was developed jointly by the Communications and IT Departments of Ebro and the Web Solutions Department of Grupo Trevenque.